Fourth Tier, My . . .
Cooley’s President and Dean, Don LeDuc, is publishing commentaries on the Law School, legal education, and related topics. This post summarizes President LeDuc’s criticism of elitism in the legal profession and law schools. It’s time for some plain talk about the major attitude problem in education—particularly legal education—elitism. In America, the country that fought a revolution to rid itself of hereditary monarchy, the titled aristocracy, and governance by a privileged few, we accept a hierarchy within legal education based on very similar characteristics and accorded similar entitlements. In the land of opportunity, law schools that provide access and opportunity are treated as inferior, if not as wrongdoers. And in a culture that has succeeded based on innovation, the legal education establishment discourages change and rewards tradition. Don’t be subject to what is a caste system in legal education. U.S. News by its very nature favors the elite. The lynch pins of its ranking system are exclusivity and reputation. Each involves reinforcing prejudices that further reinforce that very prejudice, assuring that the same privileged few retain their privileged position. But that system is flawed, because exclusivity does not equate with quality. Exclusivity rewards schools for who they don’t teach, not for what happens with and to the students they select. The elitists quit thinking about this at the front door. They do not measure the quality of the instruction the students get, they do not measure the improvement in performance of the students attributable to the schools faculty, and they do not measure how these students perform as lawyers. They do not, because they cannot. And elite law schools do not wish for new measures that might compare how their products do in practice. Why should they change, when the current system rewards them with prestige and unquestioned, continued high status. The reputational aspects of the rankings are even worse, enforcing even more the undeserved importance of elitism. In the first place, the question “reputation for what?” is never asked, and the concept of reputation is never defined. The surveys are meaningless. Half the practicing lawyers in America are in solo or small practice, but the reputational surveys are distributed only to judges — who constitute a tiny fraction of the practicing bar and who tend to hire clerks only from the elite schools — and to unknown “hiring” partners at unidentified law firms. Of course, only the larger law firms have hiring partners, and most of them hire exclusively from their own favored few law schools, mostly the current elite schools that many of them attended. Small firms and solo practitioners do not have hiring partners. Government and business employers, who hire significant numbers of law school graduates, are not surveyed. Nor do the law professors have much more knowledge about the schools they are rating. Most of the respondents surveyed have the attitude that if they do not know anything about a school, that school can’t be too good, or they would know it. But most would fail an easy test regarding the simplest facts about the law schools they attempt to rate, such as which are public and which are private or in which state are they located. What makes the law schools at Western New England and New England inferior to Pace and Albany? Where, by the way, is Pace located? The reputational surveys do nothing. (7) the value that the school adds to the students it educates. Of course, these are hard to define and hard to measure, being inherently subjective. But most of these qualities are measurable. They are certainly superior to the mindless reinforcement that assures that those who were elite yesterday will be elite tomorrow. 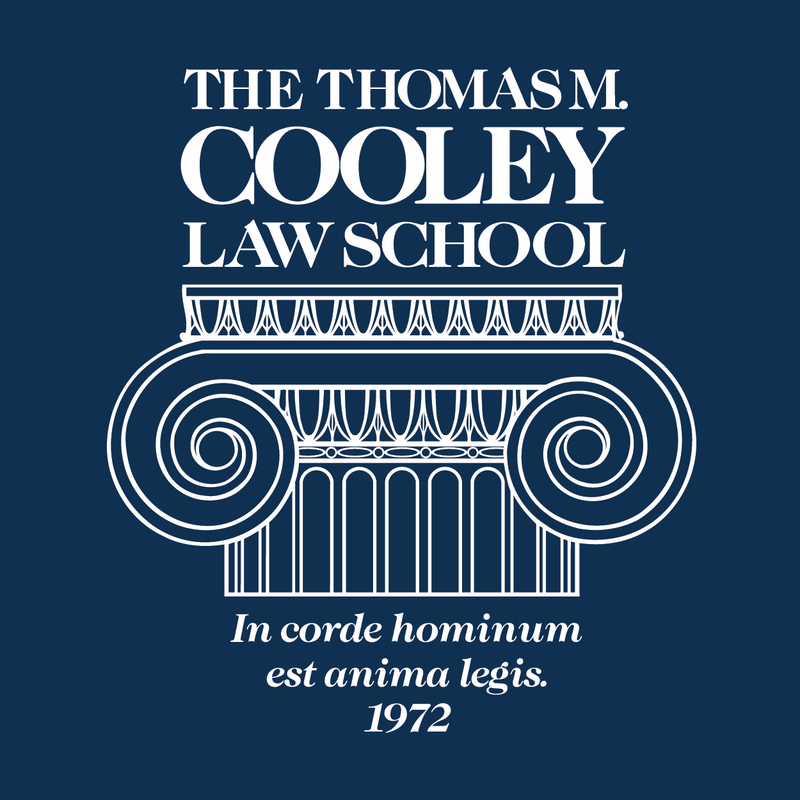 Cooley is very good at providing legal education and preparing our graduates for the practice of law. We have a great program of legal education that prepares our graduates for practice in a superior collection of facilities, while providing a climate that fosters professionalism and service. Our access mission, which stresses opportunity and demands performance, allows us to have a highly diverse student body that provides an opportunity to study law to more minority students than any other law school. Cooley is not alone in this. All the independent law schools and many university-related schools are automatically considered inferior because of their educational missions or geographical locations or affiliation with particular universities. We all deserve better. Read President LeDuc’s commentary in full.